This is the third post in my series of “Paper Quilling for All Budgets”. Read my first post about starting paper quilling for free, and my second post about the basic tools you can purchase. This post will cover the fun extra supplies you can purchase, beyond the basics! Some of these would even be considered necessities by avid quillers, but they are certainly not *necessary* for beginners. But they are fun, fancy, and will often make quilling easier and faster! Mica watercolor paints are an awesome way to add some flair to your paper quilling! Whether they are used for paper quilled jewelry, cardmaking, frames, or other projects, they definitely add a special touch. You can find these at well stocked quilling supply stores, or in art and craft stores. I wrote a post about how to use them with paper quilling. These last a very long time and can be used for other crafts as well. Perfect for those who are avid cardmakers! 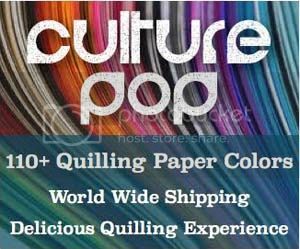 These are the more well known “extra” paper quilling supplies! 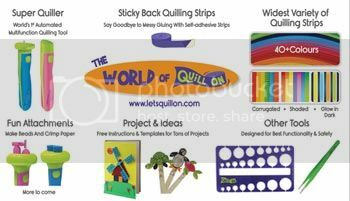 They are fun, handy, and perfect for those who do a lot of paper quilling. If you are looking for something fun and new to add to your favorite hobby, check out some of these! *This post contains some affiliate links and some non affiliate links. If you make a purchase through an affiliate link I get a small percentage. I only link to products that I use and love. Thank you for supporting my blog!